Draft: 2010, Chicago Cubs, 5th rd. Married to Natalie…proposed to his wife at the Ambassador Theater in New York before "Chicago: The Musical"…he played for the Cubs at the time and the play was her grandmother's favorite Broadway show...Signed by D-backs as a Minor League free agent (Dec. 14, 2018)...The Matthew Szczur Foundation, Szcz the Day, is a not for profit 501(c)3 organization dedicated to improving lives of the afflicted and less fortunate through philanthropy, charity and the promotion of volunteerism (szcztheday.com). Split the season between the Padres and Triple-A El Paso…hit .187 with 3 doubles, 1 home run and 6 RBI in 57 games with San Diego ... Started 3 games with the Padres in right field, 3 in left and 2 in center...Made his third consecutive Opening Day roster (2016-18)...Recorded 2 hits in the seventh inning on April 23 @ Rockies, becoming the fifth Padre in franchise history to enter the game as a pinch hitter and record 2 hits in a single frame...Batted .316 with 3 doubles, 1 triple and 6 RBI in 10 games with El Paso. Szczur (pronounced: SEE-zur) split the season between the CHC and SD appearing in a career-high 119 games... Acquired by the Padres on 5/8 from the Cubs in exchange for RHP Justin Hancock... In his first start as a Padre on 5/10 at TEX, he matched his career high at the time with three hits…his infield single in the top of the fourth inning with Erick Aybar on second base ended RHP Yu Darvish's string of holding opponents to 0-for-36 with RISP, which dated back to September 2016, the longest stretch since Charlie Hough limited hitters to 0-for-35 with RISP in 1989 (STATS Inc.)... Hit his first home run of the season and as a Padre on 5/12 at CWS on the first pitch of the game for his first career leadoff homer... teammate Manuel Margot led off the game the next night on 5/13 at CWS with a homer on the first pitch, marking just the second time the Padres have ever hit a leadoff home run in two straight games…in 2005, Damian Jackson led off both games on 6/26 and 6/27 with a home run…the last MLB team to hit a first-pitch leadoff home run in two straight games was CHC in 2007 on 9/19 and 9/21 (Alfonso Soriano both games)... Drew 32 walks with SD, which bested his previous career high of 14 walks in 2016…walked in four consecutive games from 6/21-30, setting a career high walk streak…his three walks on 6/6 at ARI also set a career high in a game... On 7/21 at SF, he entered the game as part of a double switch in the fourth inning and went 4-for-5, including an 11th-inning single that drove in the go-ahead run in the Padres' 12-9 victory…per ELIAS, the last MLB player to have four hits and a game-winning RBI in a game he did not start was the PHI's Chris Coste on 8/26/08 vs. NYM… no SD player had ever accumulated more than three hits off the bench in one game... His four hits on 7/21 also set his career high in a game…with two singles, a double and a triple, he was a home run short of hitting for the cycle…to date, no player in MLB history has ever hit for the cycle after not starting the game... From 7/14-28, his .522 on-base percentage post All-Star break was the highest of any qualifying batter in the majors (STATS Inc.)…finished the season with a .365 on-base percentage after the All-Star break... Hit a career-high 12 doubles between CHC and SD, and he was four hits shy of tying his career high of 48 in 2012... His seven pinch-hit base hits and his two pinch-hit doubles for SD were the most on the team... His 20 appearances and 141.0 innings in center field set his career high in a season…had a career-high two assists (both in center field). In his first full season in the majors, Matt batted .259 (48-for-185) with nine doubles, a triple, five homers and 24 RBI in 107 games for Chicago ... his 12 pinch-hits tied for sixth-most in the majors, as he hit .261 (12-for-46) with a double, triple and five RBI in a pinch role ... Batted .281 (32-for-114) with three homers against righthanders ... had a .225 average (16-for-71) with two homers off lefties ... Hit .333 (15-for-45) with two homers and 12 RBI in the season's first two months ... Batted .318 (7-for-22) with two homers and six RBI when putting the first pitch in play ... had three game-winning RBI ... Handled 83 total chances without an error in the outfield ... played 50 games (14 starts) in left field, 15 games (six starts) in center field and 15 games (nine starts) in right field ... Belted a three-run double in the ninth inning Opening Night in Anaheim after coming off the bench earlier to man left field ... was the same night his alma mater, Villanova, won the NCAA Men's Basketball title. w The following evening at the Angels, made the start in left field and responded with a solo homer in the third inning ... Hit his first career grand slam, April 29 vs. the Braves ... Was on the 15-day disabled list, May 3-21, with a right hamstring strain ... included one rehab game with Double-A Tennessee ... Recorded his first career multi-homer game, and scored a career-best four times, batting leadoff, August 12 vs. the Cardinals. Matt Szczur had seven stints with the Cubs, batting .222 (16-for-72) with five doubles, one homer and eight RBI in 47 games ... spent the remainder of the season with Iowa where he hit .292 (78-for-267) with 12 doubles and eight homers in 70 contests. Made the Opening Day roster for the first time in his career ... appeared in eight games, batting .200 (2-for-10), before he was optioned to Triple-A Iowa, April 19. Was recalled and optioned five more times before being recalled August 26 for the remainder of the season. Appeared in 26 games (eight starts) in left field, six games (four starts) in center field and four games in right field. Recorded his first career walk-off RBI, May 15 vs. Pittsburgh, in the Cubs 11-10, 12-inning victory ... went 2-for-7 with a career-high three RBI, including a single in the 12th inning eluding a stumbling Gregory Polanco to drive in the winning run. With Iowa, drove in 31 runs and scored 40 times ... swiped 20 bases. Held a 14-game hitting streak (.367/22-for-60) with Iowa, July 20-August 13, including seven multi-hit games. Matt made his major league debut with Chicago after he was selected from Triple-A Iowa, August 17...He played in 33 games for the Cubs, hitting .226 (14-for-62) with two doubles, two homers and five RBI...In 116 games with Iowa, batted .261 (108-for-414) with 16 doubles, one triple, one home run and 24 RBI...In his six-plus weeks with Chicago, played six games (four starts) in left field, nine games (four starts) in center field and 13 games (four starts) in right field...Batted .256 (10-for-39) as a starter...Hit .174 (4-for-23) off the bench...Batted .346 (9-for-26) off left-handed pitching...Made his major league debut the day he was promoted, August 17 at the Mets, appearing as a pinch-runner and remaining in the game in right field (0-for-1)...Recorded his first major league hit, August 21 vs. San Francisco, a single off Madison Bumgarner...Delivered a two-run single for his first career RBI, September 7 vs. Pittsburgh...Belted his first career home run, September 13 at Pittsburgh, off Justin Wilson...Began the year with Iowa, his first at the Triple-A level, and went on to play 79 games in center field, 20 in left field and 14 in right field...Finished with a .996 fielding percentage (1 E/238 TC) and 12 outfield assists...Had a season-high three hits with Iowa five times, last done on August 14 vs. Las Vegas...Finished his time with Iowa hitting .292 (19-for-65) in his final 14 games starting August 1 prior to his selection to the Cubs. Matt spent the entire campaign at Double-A Tennessee, posting a .281 average (144-for-512) with 78 runs scored, 27 doubles, four triples, three home runs and 44 RBI in 128 games ... he led the Southern League in hits, ranked tied for third in runs scored and tied for seventh in batting average... Set career-highs in games played, at-bats, hits, doubles and hit-by-pitches (6)... Had nearly identical averages against southpaws and right-handed hurlers, logging a .280 mark (40-for-143) against lefties while hitting .282 (104-for-369) against righties... Was 32-for-95 (.337) in 25 June games after posting a .268 average (30-for-112) in 26 May contests... Excelled with the bases loaded, going 5-for-13 (.385) with 13 RBI and a .500 on-base percentage... Named to the mid-season All-Star team after registering a .291 average (74-for-254) in the first-half of the season... Appeared in 92 games in center field, 23 in right field, 14 in left field and one game as a designated hitter... Posted a .992 fielding percentage (2 E/259 TC)... Had a season-high 11-game hitting streak, June 21-July 4 … batted .392 (20-for-51) with eight RBI... Totaled 39 multi-hit games, including 29 two-hit affairs, eight three-hit contests and two four-hit games. Matt batted .267 (117-for-438) with 26 doubles, eight triples, four home runs, 40 RBI and 42 stolen bases in 113 games between Single-A Daytona and Double-A Tennessee ... missed over three weeks in June with a strained left knee. ...Began the season with Daytona, hitting .295 (87-for-295) with two homers and 34 RBI in 78 games before he was promoted to Tennessee, July 27. ...Despite missing over three weeks in June with a strained left knee, led the Florida State League with 68 runs scored and 38 stolen bases at the time of his promotion to Double-A....Hit at a .420 clip (21-for-50) with six walks, five doubles, a triple and 10 RBI with runners in scoring position and two outs with Daytona....Made one error in 78 games with Daytona, while appearing at all three outfield positions....Was named a Florida State League mid-season All-Star....Promoted to Tennessee, July 27, and went on to hit .210 (30-for-143) with seven doubles, four triples, two homers and six RBI in 35 games. Matt combined to bat .293 (131-for-447) with 22 doubles, three triples, 10 homers and 46 RBI in his first full minor leagueseason with Single-A Peoria and Single-A Daytona, helping the D-Cubs to the Florida State League title...Began the season with Peoria, hitting .314 (86-for-274) with a .366on-base percentage, 17 stolen bases, 15 doubles, five homers and 27RBI in 66 games. Hit safely in 13 of his first 15 contests, April 7-May 1, and posteda .405 batting average in that stretch...Batted .385 (25-for-65) against southpaws...had a .342 May battingaverage (26-for-76)...was 20-for-58 (.345) with runners in scoringposition...Named to the Midwest League All-Star Game...Promoted to Daytona, July 13, and went on to bat .260 (45-for-173)with seven doubles, two triples, five homers and 19 RBI in 43 games...stole seven bases without being caught...Closed out the regular season with four-straight two-hit games, and hit.368 during Daytona's post-season run to the FSL title. In his first taste of professional baseball, Matt hit .347 (35-for-101) in 25 games between Rookie-League Mesa, Single-A Boise and Single-A Peoria...Hit safely in his first 21 career games spanning three stops...posted a .405 batting average (34-for-84) during the run that saw him score 21 times...Spent the majority of his time at Boise, hitting .397 (29-for-73) with nine doubles and eight RBI in 18 contests...With the Hawks, posted a .429 average (24-for-56) against right-handed hurlers. 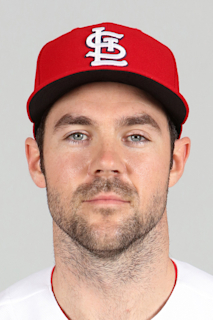 January 31, 2019 CF Matt Szczur assigned to Reno Aces. December 14, 2018 Arizona Diamondbacks signed free agent CF Matt Szczur to a minor league contract and invited him to spring training. October 2, 2018 CF Matt Szczur elected free agency. July 28, 2018 El Paso Chihuahuas placed CF Matt Szczur on the 7-day disabled list. July 8, 2018 San Diego Padres sent RF Matt Szczur outright to El Paso Chihuahuas. July 1, 2018 San Diego Padres designated RF Matt Szczur for assignment. August 22, 2017 San Diego Padres activated RF Matt Szczur from the bereavement list. August 17, 2017 San Diego Padres placed LF Matt Szczur on the bereavement list. May 8, 2017 Chicago Cubs traded LF Matt Szczur to San Diego Padres for RHP Justin Hancock. May 6, 2017 Chicago Cubs designated LF Matt Szczur for assignment. November 3, 2016 Chicago Cubs activated LF Matt Szczur. October 7, 2016 Chicago Cubs reassigned LF Matt Szczur to the minor leagues. May 21, 2016 Chicago Cubs activated LF Matt Szczur from the 15-day disabled list. May 19, 2016 Chicago Cubs sent OF Matt Szczur on a rehab assignment to Tennessee Smokies. May 3, 2016 Chicago Cubs placed LF Matt Szczur on the 15-day disabled list. Right hamstring strain. October 22, 2015 Chicago Cubs activated CF Matt Szczur. October 7, 2015 Chicago Cubs reassigned CF Matt Szczur to the minor leagues. August 26, 2015 Chicago Cubs recalled CF Matt Szczur from Iowa Cubs. August 10, 2015 Chicago Cubs optioned CF Matt Szczur to Iowa Cubs. August 8, 2015 Chicago Cubs recalled Matt Szczur from Iowa Cubs. August 7, 2015 Chicago Cubs optioned CF Matt Szczur to Iowa Cubs. August 3, 2015 Chicago Cubs recalled Matt Szczur from Iowa Cubs. July 5, 2015 Chicago Cubs optioned CF Matt Szczur to Iowa Cubs. June 22, 2015 Chicago Cubs recalled Matt Szczur from Iowa Cubs. June 7, 2015 Chicago Cubs optioned CF Matt Szczur to Iowa Cubs. June 2, 2015 Chicago Cubs recalled Matt Szczur from Iowa Cubs. May 16, 2015 Chicago Cubs optioned CF Matt Szczur to Iowa Cubs. May 6, 2015 Chicago Cubs recalled Matt Szczur from Iowa Cubs. April 19, 2015 Chicago Cubs optioned CF Matt Szczur to Iowa Cubs. August 17, 2014 Chicago Cubs recalled Matt Szczur from Iowa Cubs. March 27, 2014 OF Matt Szczur assigned to Chicago Cubs. March 12, 2014 Chicago Cubs optioned CF Matt Szczur to Iowa Cubs. September 30, 2013 Chicago Cubs recalled Matt Szczur from Tennessee Smokies. March 8, 2013 Chicago Cubs optioned Matt Szczur to Tennessee Smokies. October 4, 2012 Chicago Cubs recalled Matt Szczur from Tennessee Smokies. July 27, 2012 Matt Szczur assigned to Tennessee Smokies from Daytona Cubs. April 3, 2012 Matt Szczur assigned to Daytona Cubs from Tennessee Smokies. March 15, 2012 Chicago Cubs optioned Matt Szczur to Tennessee Smokies. November 18, 2011 Chicago Cubs selected the contract of Matt Szczur from Daytona Cubs. July 9, 2011 Matt Szczur assigned to Daytona Cubs from Peoria Chiefs. May 17, 2011 Matt Szczur roster status changed by Peoria Chiefs. May 13, 2011 Peoria Chiefs placed OF Matt Szczur on the temporarily inactive list. April 4, 2011 OF Matt Szczur assigned to Peoria Chiefs from Chicago Cubs. March 18, 2011 Peoria Chiefs released OF Matt Szczur. March 13, 2011 OF Matt Szczur assigned to Chicago Cubs. October 6, 2010 Peoria Chiefs activated OF Matt Szczur from the temporarily inactive list. August 3, 2010 Peoria Chiefs placed OF Matt Szczur on the temporarily inactive list. July 28, 2010 OF Matt Szczur assigned to Peoria Chiefs from Boise Hawks. July 8, 2010 Matt Szczur assigned to Boise Hawks from AZL Cubs. July 7, 2010 OF Matt Szczur assigned to AZL Cubs from Chicago Cubs. July 6, 2010 Matt Szczur assigned to Chicago Cubs. July 2, 2010 Chicago Cubs signed OF Matt Szczur.